Tina Kartika, 24, of Portland signs a petition Tuesday to put Medicare expansion on the Maine ballot. 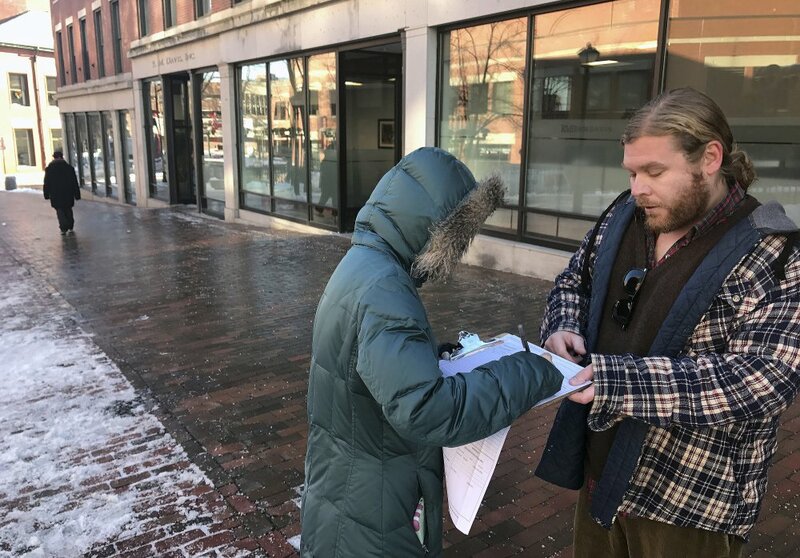 George Frangoulis of Portland, working for the Maine People's Alliance, was gathering signatures in Monument Square. Tina Kartika, 24, of Portland signs a petition to put Medicare expansion on the Maine ballot. George Frangoulis of Portland, working for the Maine Peoples Alliance, was gathering signatures Tuesday in Monument Square.